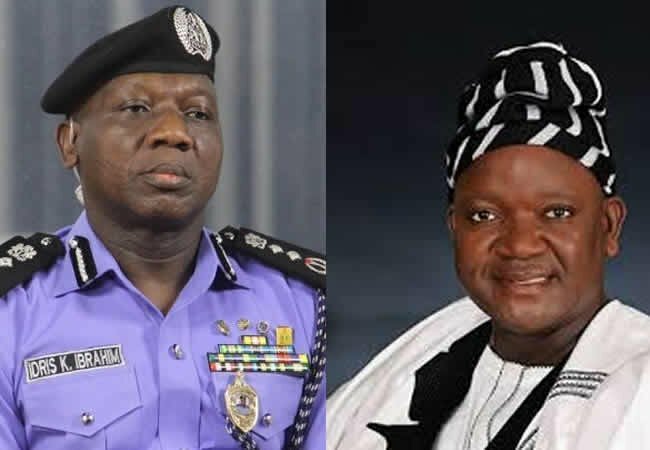 The House of Representatives has ordered the Inspector General of Police, Mr. Ibrahim Idris, to apologise to Benue State Governor, Samuel Ortom, who was described as a “drowning man” by the Force Public Relations Officer, Mr. Jimoh Moshood. The Reps is presently debating a motion on the killings by herdsmen in Benue State, specifically asking the Inspector-General of Police, Mr. Ibrahim Idris, to apologise to the state governor, Mr. Samuel Ortom. Moshood made the statement on Channels Television programme, Morning Rise, on Tuesday, February 6.